Graphic design is the process that takes elements from photography and typography and converts these into appealing images that intend to capture the attention of audiences, sell products and services, and open new markets. Any business will find benefits in using graphic design for their advertisements and promotional materials. Unique and interesting designs can immediately capture the attention of prospective customers and boost your company’s marketing and messaging methods. Graphic design has the power to inform, educate, and persuade your target market. Businesses have to look professional and consistent, and that means using logos, nameplates, headers, and pictures that will create a consistent flow with your company’s mission and vision. Our graphic design artists will spend time getting to know what your business is all about and what its goals are. This information would help them work on a unique logo for your business. All throughout your marketing strategies, these graphic designs solely created for you must be consistent. They will help build your business’ brand and identity. Even if you have a limited budget, it pays to invest in good graphic design. You will be using the logo and other graphics as long as the business is operating, so this investment today will impact your business for years to come. You need to hire a professional graphics designer who knows the use of the right color management and layout. Remember that changes, delays, and redesigns cost money and delay the project. Make sure you’re getting the best value for your money when hiring a graphics designer. A study found out that buyers look at the image quality as one of the factors in their purchasing decision. A good image or video quality goes a long way in helping a consumer decide to purchase your product. This will help increase your business’ social media views and following. There are many ways through which you can incorporate graphic design into your business. You can use these images and illustrations on blogs, newsletters, websites, and the social media. Beyond establishing your brand, graphic design is also a very effective way to communicate with customers through images, illustrations, animation, and videos. Those who want to know more about a product or a service can simply check out the infographic you have on the website. Visual aids will help in informing your prospective buyers about the benefits of the products and services to their lives. They could help convince clients to purchase items from your business. 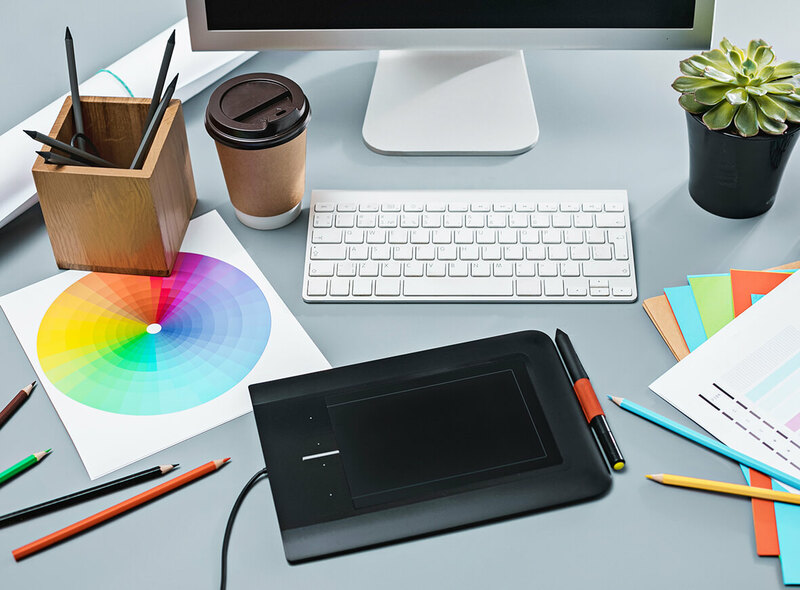 Informative images used on graphic design can transmit ideas and create a positive impression to help strengthen your company’s brand and image. You need your employees to believe in your brand. They need to take pride in what they do and who they work for. To do that, you need to create a positive image for your brand. Your employees need to rally behind and promote your business but before doing so, they need to understand and believe in your brand. Graphic design goes a long way towards enhancing the image of a company and communicating the messages of that company to prospective clients. All of the above mentioned benefits lead to one thing—revenue and sales. At the end of the day, we want your business to be successful and we want you to reap the rewards. Graphic design isn’t as complicated as it sounds but in this ever-growing marketplace, both offline and online, you need to harness every strategy, every technique, every theory, and make them work for your company.